Are you looking for the perfect treat for Halloween? I have really searched high and low for the best treats for Halloween and The Salty Jellyfish is your one stop shop for treats this Halloween. The Salty Jellyfish carries children's bath treats and adult bath treats. We were lucky enough to sample both. Me and the boys loved every item we received from The Salty Jellyfish and nothing lasted more than a week. We made excuses to get bath so we could use these amazing bath treats. First I want to start with what the boys tried. The boys both had bath bombs but very different varieties. Gavin had a BubbleGum scented, black as night, bath bomb. Inside was the perfect spooktacular surprise, The Dark Night himself Batman! The bath bomb was extremely large and the BubbleGum scent was the amazing classic BubbleGum not the run of the mill bubblegum scent. This BubbleGum scent captured Double Bubble perfectly! Christian's bath bomb was just as unique. His bath bomb was also BubbleGum flavor but instead of a toy surprise the bath bomb had a color changing surprise. His bath bomb turned the water black as night! It was spooktacular and the kids loved them! My adult bath products included a Eucalyptus Bath Bomb, SleepyTime Chamomile Bath Bomb, Peppermint Sugar Scrub Cubes, Lavender Bath Salt and Eucalyptus and Peppermint Bath Salt. My favorite items were the SleepyTime Chamomile Bath Bomb, and the Peppermint Sugar Scrub Cubes but I loved everything! The SleepyTime Chamomile Bath Bombs are so amazingly scented I hated to even use it. I wanted to save it; but I just had to try it!. 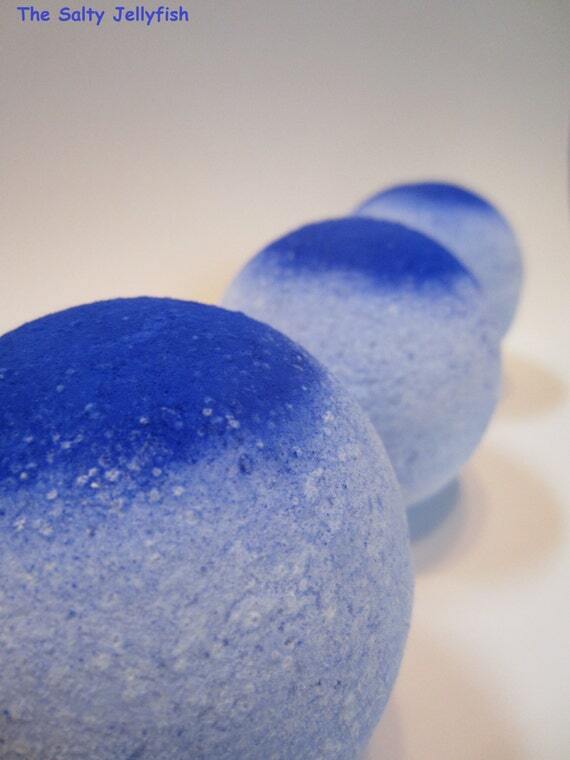 The colors in this bath bomb re truly beautiful and would make the perfect gift! 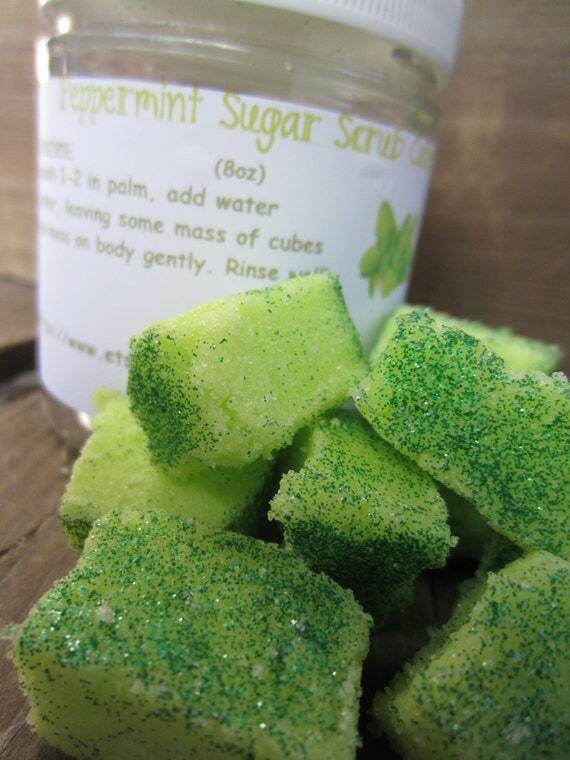 The Peppermint Sugar Scrub Cubes left my skin feeling so soft and cleared away the dead skin on my face by gently exfoliating and the peppermint opened my nasal passages and pores leaving me with a wonderfully refreshed feeling. We loved our amazing treats from The Salty Jellyfish to place your order today go to Etsy now. Follow The Salty Jellyfish on Twitter and stay up to date on all the latest products and specials! Oh these look really good. I think I actually want to give them a try especially the one with the toy inside. I'm a big kid at heart!